À l’école j’étudie l’histoire et ‘Mission Command’. In January 2013, France launched Operation SERVAL to quell the uprising of various militant groups who posed a direct threat to the stability of Mali, a country they have a vested interest in. Their intention was to release Northern Mali from the grip of jihadist occupation and restore sovereignty to the region. The French, under the control of General Berrera, experienced huge successes throughout their intervention, their application of mission command directly attributed to this. First, despite widely reported success of the French military in Mali it should be noted that the region remains extremely volatile. 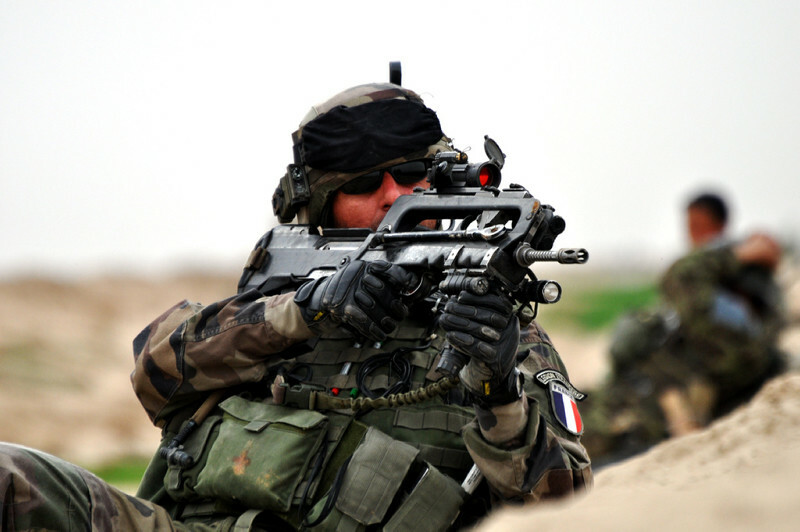 Second, The French approach to small-scale operations can be classed as successful in regard to Op SERVAL; however, it should be noted that these ideas cannot be immediately transferred to Divisional-sized Operations. Op SERVAL was uniquely remote, rural and out of the gaze of media and smart phones, very unlike the characteristics that the FOE concept perceives our future wars to be like. The French are renowned as a romantic and passionate people. This extends down to their interpretation and understanding of doctrine. Michael Shurkin, in one of his articles on French doctrine quotes a French General, “If you want to understand us, you need to read Pierre Schoendoerffer’s novel, La 317e Section (The 317th Platoon)” . La 317e Section follows a young 2Lt Torres as he leads his platoon on a bleak mission across the Indochina jungle to reach a remote outpost, while being chased by Viet Minh. The story shows Torres as a true buccaneer, choosing gallant and exciting courses of action over pragmatic and safe ones. Shurkin speaks of how the French officers he knew all regarded Torres with a degree of romanticism, he glorifies the notion that a young officer could conduct operations in a small but daring manner. The French take pride in operating in austere environments with limited support, Torres was the epitome of this. The experiences the British Military gained during the latter stages of the war in Afghanistan have played its ability to offer mission command in the same way as Berrera did. There was simply no appetite for young officers to be running their own operations in the same way as the French did. The latest iteration of doctrine from Warfare Branch ‘AFM – Command’ states, “Mission command is the British Army’s command philosophy. This is an approach which empowers subordinate commanders and promotes initiative as well as freedom and speed of action”. However all too often there is a sense that commanders wish to control as many aspects of the battle as possible leading to a reluctance to relinquish command down to subordinates. Does the British Army struggle to seize mission command when it is offered? With our control systems, PERSREPs, DOWNREPS and UPREPS are we applying too much control to allow command? There is a feeling that commanders may be considered reckless or as having lacked control if they do not stick rigidly to these, often self-imposed processes. This is where the French triumphed; Berrera relaxed the amount of control he demanded, forced mission command on his commanders and instilled the sense that they should do the same to their subordinates. The British Army’s future operations would benefit hugely from senior commanders bestowing these levels of trust on unit commanders. The British Army should strive to cut through the ‘red tape’ of process and experience its own ‘Torres moment’ – or perhaps a ‘Sharp moment’ is more appropriate? This method of combining infantry and armour together at company level is rarely seen in British Military operations. Units on exercise in Canada or Kenya may have the opportunity to battle group with other units, as will companys on operations; however, The British Army has a tendency to keep infantry and armour separate and only join them up for certain phases of an operation. This means that sub units are reliant on each other for intimate support and on the headquarters for de-confliction, limiting the sub units’ ability to exploit freedom. Break down the task org and rebuilding it like a SGTIA may enhance the ability to release command to the sub units, allowing them to operate independently and with more freedom. They would also be able to react quickly without seeking control and deconfliction from their Command Post. The British Army has experienced success in this way of organising units – very often the Information, Surveillance, Target Acquisition and Reconnaissance (ISTAR) Group is broken down into combat patrols. These patrols are trusted to complete several tasks at the same time without supervision. Commanders have huge amounts of mission command thrust upon them as their sub unit commander is resigned to battlegroup headquarters. These commanders are trusted to carry out their missions –the British Army should equip and trust sub unit commanders to act in the same way. The French, throughout their intervention in Mali, proved several concepts. They adopted an aggressive, fast-paced approach to their manoeuvre and tolerated risk in several areas where we might not have. They showed how, with a small and well-organised SGTIA, you can achieve far more than expected. Their romantic notions about fighting against the odds and being an adventurer were well founded and the combination of these key ideas gave them the freedom to apply mission command right from the top. This inspires others and gives them to confidence to keep applying it. Following the British Army’s operations in Afghanistan and with concern lingering over staffing and finances, France’s intervention in Mali should serve as a timely reminder that a small force, grouped correctly and fuelled by vast amounts of mission command can achieve greatness in the face of adversity. Perhaps the British Army could learn a thing or two from 2Lt Torres and fall in love with the idea of taking risk and being a true adventurer. Army Field Manual – Command, Army Code 72062, Land Warfare Development Centre. Ollie has 6 years leadership experience in a Light Role Infantry Battalion. He has deployed on exercises in a coalition environment at Platoon, Company and Battalion Level. Gifted amateurs in a cut-throat world: The RN and DE&S?